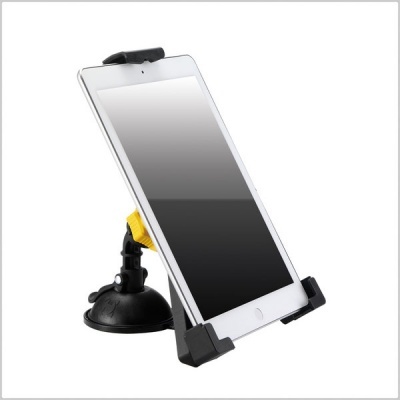 The Hercules Tab Grab Universal Tablet Holder Accommodates 7"-12.1" tablet. 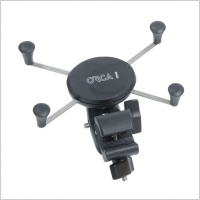 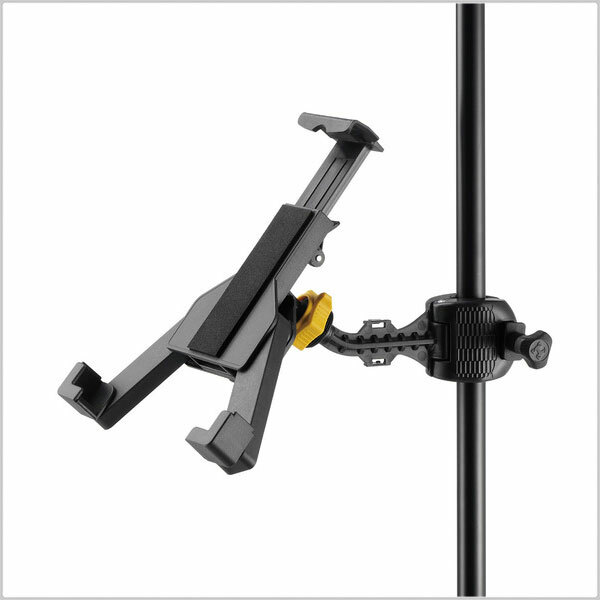 360 degree ball-joint design, 3-way adjustable holder. 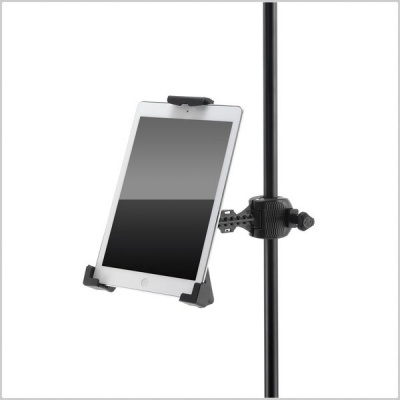 Easy to use and folds into a minimal, compact size.